What Should We Make with Our CSA? Follow along as Food52's editorial team makes use of our 12-week CSA (and tell us what to do with it!). Our third delivery from Local Roots' 12-week CSA came! 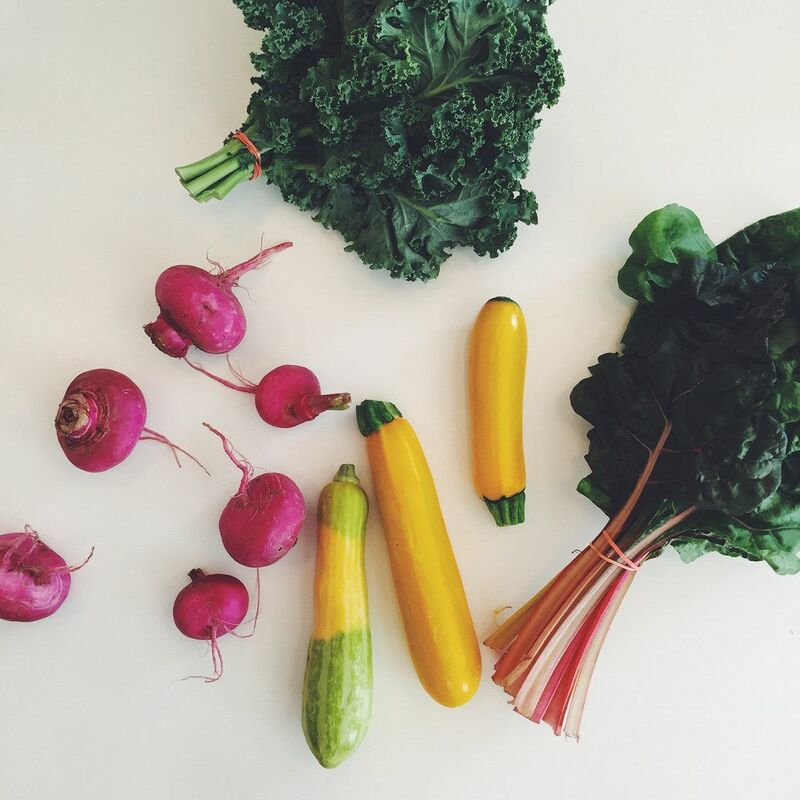 We've got: turnips, summer squash, rainbow chard, and curly kale. We know we want to make zucchini butter and roasted turnips with miso butter (our intern Riddley's suggestion), but what else should we do? We want to hear your ideas! Share with us in the comments! Add steamed swiss chard stems to hummus for a creamier result! Or candy them with grapefruit juice and sugar! So good! I love pickling my turnips and adding them in my salads for an extra kick of flavor! I've been grilling my zucchini and other squashes. I always use charcoal briquettes to lend a smoky flavor to them. I usually serve them in hot dog buns, with a light dusting of celery salt, raw onion, mustard and relish. It's my own vegan version of a Chicago Hot Dog. When you pickle the turnips, pickle the Swiss chard stems too! I'm one of the farmers that grew that stuff! So neat to see our hard work show up on such an amazing platform. Definitely roast the turnips in butter! Fried chard stems a la fried zucchini sticks - My mom made these all the time. Quickly blanch the stems, then flour, egg wash and bread crumbs. I am so sick of kale make it stop please. my favorite simple kale preparation is to sauté a whole sliced onion in olive oil, add the kale to cook quickly, top with feta and pepper. Eat with crusty bread or put an egg on it. So tasty and easy! I love chard in saag!